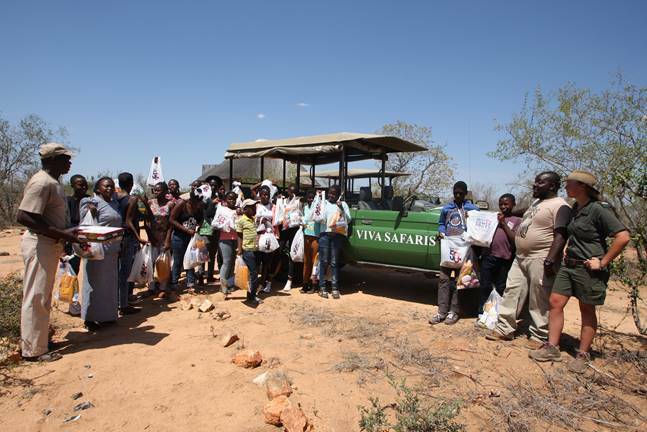 It is a really unique and exciting way to enjoy Africa’s wildlife and simultaneously make a meaningful impact on needy people’s lives. 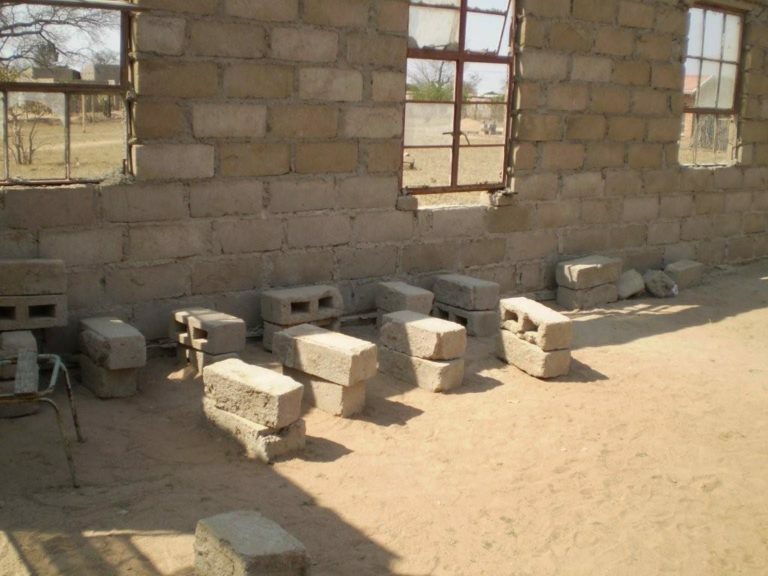 Our beneficiary is the Parish of Acornhoek which is spread over an area of about 150 square kilometres. We appreciate the time and effort you are so generously giving to assist the local communities. 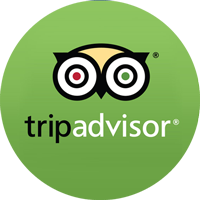 We shall endeavour to make your experience comfortable and memorable. DAY ONE : Door to Door Pick up from your hostel, BnB, hotel or Johannesburg OR Tambo Airport, and travel by minibus via the scenic Lowveld to Masango Camp. 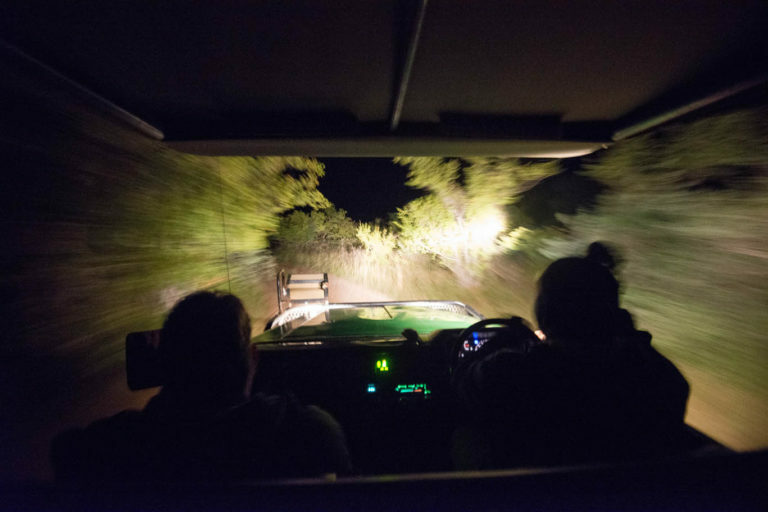 Board our open safari vehicle for a 2.5 hour Sunset safari Drive and enjoy a Bush BBQ at our Lapa overlooking a floodlit waterhole. DAY FOUR : Full day safari in the world-famous Kruger National Park. 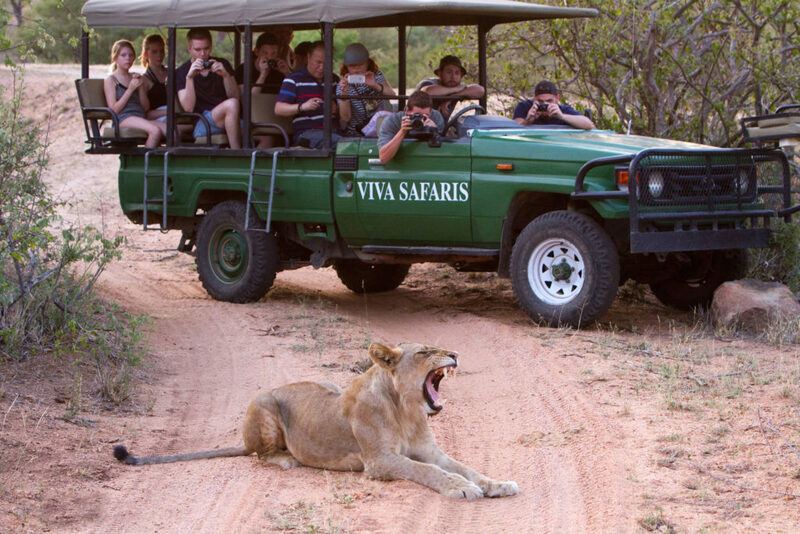 Our qualified Viva Safari guides will attempt to show you all of Africa’s wild animals, including the Big 5 : Lion, Elephant, Rhino, Buffalo and Leopard. DAY SEVEN : Relax by the pool and unwind in Africa. 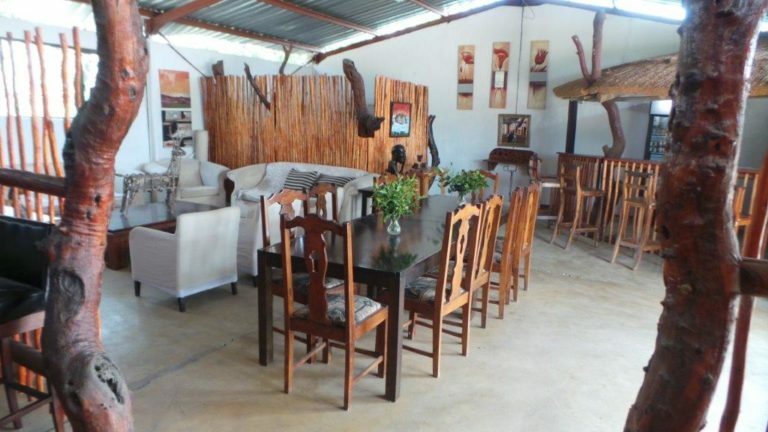 Drive to Hoedspruit- local town – to top up on personals. Drive to Tremisana Game Lodge for 4hour Big 5 Sundowner Game Drive with Viva Safaris on an Open Safari Vehicle. Return to Masango camp for dinner and overnight. DAY TEN : Visit Moholoholo Rehab Centre for injured and orphaned animals. Return to Masango Camp for lunch. Afternoon safari on Tshukudu Game Reserve on an open safari vehicle. 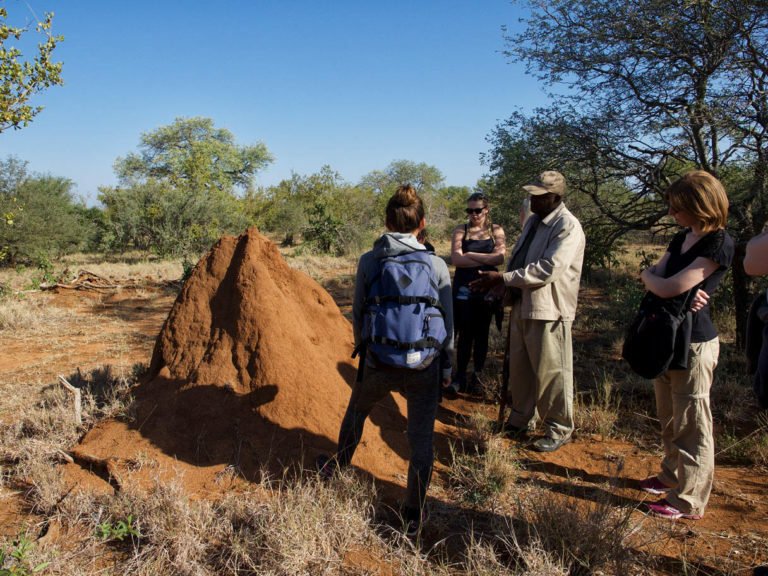 DAY TWELVE : Another full day Big 5 safari into world-famous Kruger National Park. DAY THIRTEEN : Final Volunteer project. Fun activities including sports games and a joyous Farewell Party. DAY FOURTEEN : Bush Walk with armed rangers. Return drive by minibus to Johannesburg arriving at around 17h00. The above program is negotiable, but we suggest that it be adhered to as closely as possible. Our tariff includes all breakfasts and dinners; all transfers and all activities. Packed lunches are supplied for you on All days except Transfer days to and from Johannesburg (day one and Day Fourteen) as well as the two days you enter the Kruger National Park (Day Four and Day twelve). We do however stop at a restaurant for lunch where lunch can be paid for individually. 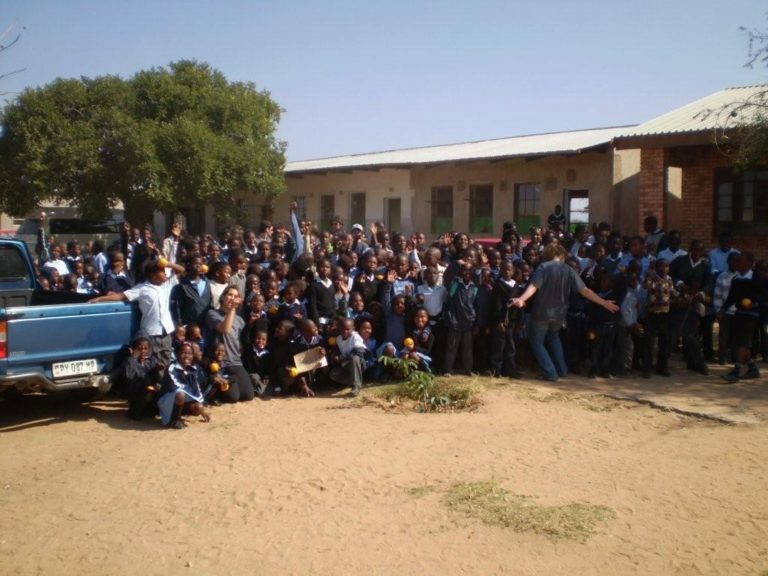 You will need money for lunches on days one, four, twelve and fourteen (Overland via Minibus to and from Johannesburg and days in the Kruger National Park). In addition, you may want to buy additional drinks, curios and other personal items. Accommodation is on a sharing ( generally two per room ) basis.